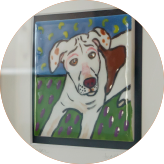 Find peace of mind choosing a House and Pet Sitter. Our sitters have Police clearances, are fully insured and love animals. Treat your pet to a holiday in their own environment with House and Pet Sitters. Call Jenny, relax and enjoy your next trip! You will return to a happy pet when choosing House and Pet Sitters. Enjoy your holiday worry-free knowing your home is safe! We now have a pet-visiting service ready to bring your pets some special attention when you can't be there! As well as looking after your home and pets we take care of the little things. Planning your next holiday? 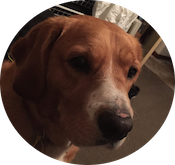 Looking for someone to look after your home and pets when you are away for work or leisure? Our pets are such an important part of our family and their happiness is paramount. So whether you’re away on holidays or at work every day, your furry friends deserve the very best of care in the safety and comfort of their own home! This is where we come in. 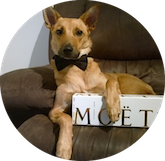 We’re Premier pet and house sitting service in Perth, with over ten years of service across the metropolitan area. We care for a vast array of pets – from alpacas to lizards, to frogs and chickens, plus of course hundreds of dogs and cats. From short visits, to long holiday periods, we can accommodate all of you and your pets needs. We also look after your homes, leaving you to focus on everything else. Just wanted to say a big thank you, thank you for our House Sitters Clem and Flav. They are a lovely couple and had a big job with all the animals. We came home to everything clean and fresh and all the animals happy and looking great. 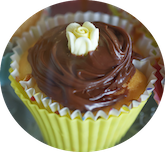 They had made us a delicious chocolate cake, which we had with coffee that morning. We look forward to our next holiday with one of your house sitters. Felipe and Denize were absolutely wonderful! They were so friendly, Dexter and Gracey took straight to them! We didn’t worry at all while we were away on holidays. 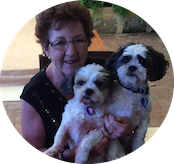 They sent regular updates which was great – so we knew our fur children were happy. The house was in excellent condition when we returned and was VERY clean and tidy. 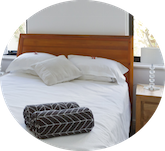 We have already recommended House and Pet Sitters to our family and friends, such a fantastic company with sitters that are perfectly matched to your home and pets! Myself and my partner Laura send this email with great pleasure. Your sitter Sarah is certainly one in a million! We returned today from our 3 week trip to the UK where we got married to a very happy dog, an impeccably tidy house and lovely presents. Sarah regularly sent entertaining and loving emails regularly, regarding our dog Elliott’s well-being and adventures and left us completely at ease whilst away. We returned today and the house was spotless, mail arranged, food in the fridge, Elliott pleased to see us and a lovely framed picture of Elliott dressed up as if he had attended our wedding day. It was truly a personal touch. We would recommend her highly and on our first dog walk back, we came to find that our friends that she met on her usual walk hold her in high regard too and had nothing but pleasant things to say about her. She has done your service proud and we will definitely be using you again in the future. We have used House and Pet Sitters twice now and on both occasions the sitters settled in well to our homes and adored our dog Bolo. It provides piece of mind to know that you have someone trustworthy and responsible looking after your beloved pet, so you can go away for long holidays and enjoy time with family and friends around the world. Even when we have presented Jenny with a challenge, in terms of logistics for our sits, she has pulled through with a perfect sitter and flexible options to suit our needs. We would highly recommend this service and have done to many family and friends. Trish was an excellent house sitter. She sent me through pictures daily of their walk which gave me peace of mind that my best friends were in great hands and getting well looked after. The house was clean and tidy and I will be requesting Trish when I go away again. House and Pet Sitters was able to help out at the 11th hour for a lengthy house sit of our dogs and cat – and made what can be a tricky time very straight forward for us. Our pets got really well looked after by a great couple and we were updated regularly, which was reassuring for us while being on holiday. We returned to well-kept animals and a neat & tidy home, which was fantastic. 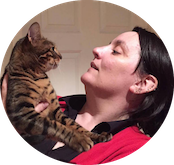 I have already recommended Jenny to other folk who will be needing house/pet sitters and I would not hesitate to utilise House and Pet Sitters in the future. Top service! Everything was perfect when we returned. Marie and Steve were such a nice couple and looked after our 2 dogs beautifully. They were so nice they even had fresh bread ready for us when we got home in our bread maker. House was immaculate, dogs had been exercised and medication to the old dog had been exactly as if we had done it ourselves, they even visited the vet and obtained more. Absolutely great. I wanted to send you a quick email as I have recently returned from my trip. I had Sarah look after my baby girl Jenna and I wanted to let you know how fantastic she was. The house was clean and well looked after and she was so thoughtful as to leave me a thank you card, chocolate, milk in the fridge and even made me some origami. Jenna of course was very happy to see me, but I can tell she was comfortable with Sarah and wasn’t stressed. I will be recommending your company from now on to all the clients who ask about pet sitting at the vet clinic I work at. I am now comfortable to say there really is a company out there you can trust with your pets and your house while enjoying a holiday. Thanks for everything. Shirley was absolutely brilliant. She was everything we could have wanted and more. The dogs and our house were so well cared for. Ted had a bad leg and needed visits to the vet weekly to get bandage changed; the kettle finally gave up and the front door lock seized. Shirley took all this in her stride, kept us informed and when we got home our house was so clean and a treat in the fridge for us. She really is amazing and we were so happy with everything. If we are using a 5-star rating she should get 10 and we will certainly use your services again and hope to be fortunate enough to get Shirley. Also, we will refer our friends to you, it was all so well researched, organized and conducted with professionalism and love. We both had lovely dogs and cats back home, so we really miss our pets. We feel they are part of our families and also how great is the environment when they are around? 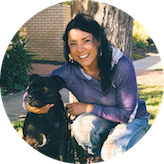 We have been house and pet sitting in WA since October 2015. We really love animals. It is priceless to know we have this opportunity with House and Pet Sitters to take care of them around Western Australia. As well as getting to know different areas around Perth. We have been meeting great people and families around, so it has been such a great experience for us! We are passionate about animals and enjoy the opportunity to live in different houses and neighbourhoods. We started house and pet sitting in June 2017. 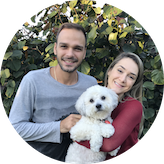 House and pet sitting is perfect for us especially being able to live with, love and care for the animals – it helps us not miss our puppy, who could not come with us from Brazil. We are very responsible and friendly and we have the greatest love and care for all the animals we take care of! We both love animals! They’ve been a big part of both of our lives, so we really enjoy meeting new furry friends and spending time with them. We also enjoy being able to experience the city from different perspectives. We have been house sitting casually for the past two years but have been with ‘House and Pet Sitters’ since May 2017. 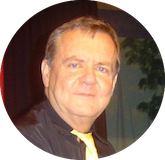 Between us, we have ample experience in caretaking properties, houses, and pets. We pride ourselves on our reliability and cleanliness. We’re both very versatile and adaptable, so easily adjust to personalities, needs of animals and requests of owners. It is our mission to make your pet and property feel as loved and secure as possible in your absence, to maximise your peace of mind and enjoyment whilst away. Hello, I’m Ana, I’ve been living in Australia as student since March 2016. I have always had pets. When I was a little child my parents gave me a cat and I had a dog that I looked after too, I loved it! I’ve had many experiences with pets all my life, living with me and my family. Since I came to Australia I haven’t had a pet and I have missed this contact. That’s why I’m a House and Pet Sitters team member, I really appreciate being able to look after pets and help people. 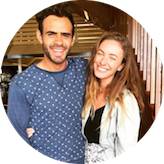 My first house and pet sitter experience in Australia was January 2017 and it was lovely. Being a sitter has taught me how important it is to be kind and patient with pets. When they don’t know you it is fundamental to follow all their routines. I’m gentle with animals and respect them and in return the families trust me to stay at the houses with their precious pets. Hello, I’m Aline, I grew up with cats and dogs and really love them. I enjoy taking care of pets and giving them lots of cuddles and love. 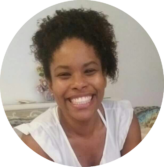 I started with House and Pet Sitters in April 2017 and believe the role is a great fit for me. The way I relate to looking after someone’s precious pet is that it is my job to make sure they are happy. So, we have fun all the time by going out for walks or just relaxing under a tree. Simple things make me feel extremely happy. 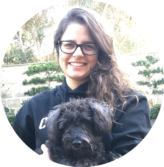 Hi, I’m Marilia, I started house and pet sitting about March 2017 because I miss my animals from my parent’s farm, back in Brazil. I love taking care of pets, I always learn a lot from their personality because they are all so different. Like us as human beings, all similar but inside, very different. That’s what makes me passionate about pet sitting. The love I have found in this relationship between animals and us is indescribably beautiful. We first housesat for a friend of ours who went overseas and liked it so much we approached Jenny at House and Pet Sitters about being regular sitters. That was December 2014 and the rest is history. Being HPS sitter is great for a number of reasons, firstly, Jenny is ‘mint’ and the clients are fabulous people. Add the pets and bingo, you have a winner. We find that if you treat the people, their pets and house as your own, you can’t go very far wrong. The photo is Pat with Obama and Rocky, these full brothers have just turned seven – where’s Don you ask, well he took the photo claiming a photo of him would send everything blank – lol. I’m a self-employed Repetiteur (how many people know what that is?) I have been a HPS sitter since January 2015. I enjoy being of service to people; the companionship of their pets and the interactions with other dog owners on walks. The variety of living in different places and exploring different areas also appeals to me. I really like animals so when the opportunity came along to be able to have (however temporarily) a pet, I jumped at the chance. I have been a HPS sitter since April 2015. I enjoy the satisfaction of knowing pets are the primary focus of care and attention, and thus happier. It’s wonderful to have someone who’s always happy to see you. Plus, I get to meet new people/animals and being a sitter expands my knowledge of other areas of Perth. I love cats and dogs as well as other animals and have always had pets in my life. 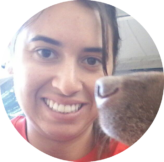 I am from Chile and have been studying and travelling to parts of Australia since September 2014. 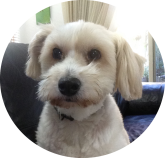 I am based in Perth and often work remotely but I really enjoy keeping pets company for as long as possible. I pride myself on being an honest and gentle person and I love having pets around me.